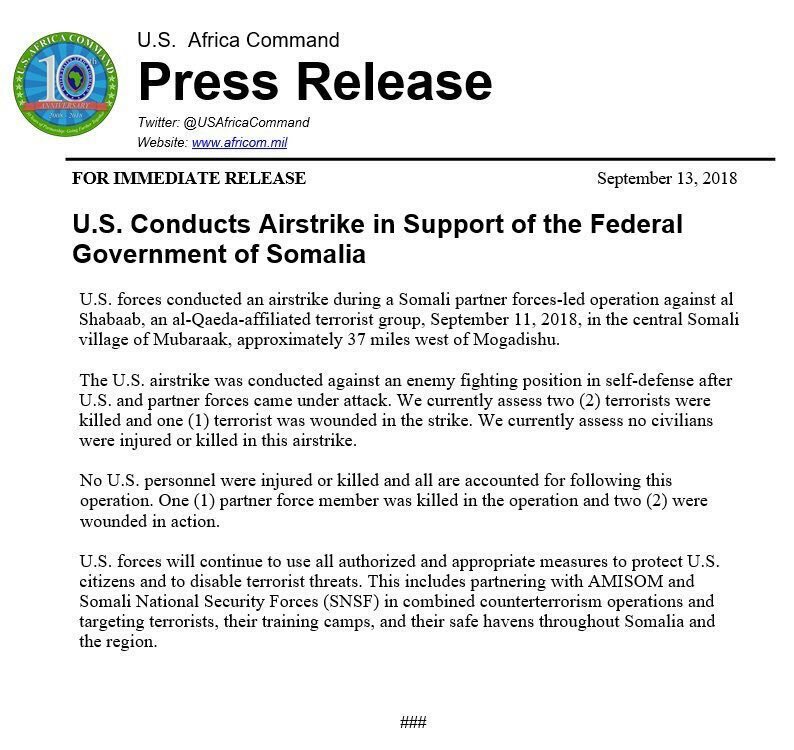 US Military claimed that it had conducted an airstrike in Southern Somalia, which they said that the Target was Al-shabab hide out in Mubaarak Village. US Denied any Casualties for its forces but confirmed lost of one Partner meaning Somalia Special Forces and two others injured. A press release From AFROCOM said two AL-shabab members dead and other one injured on midnight attack on 11th September.